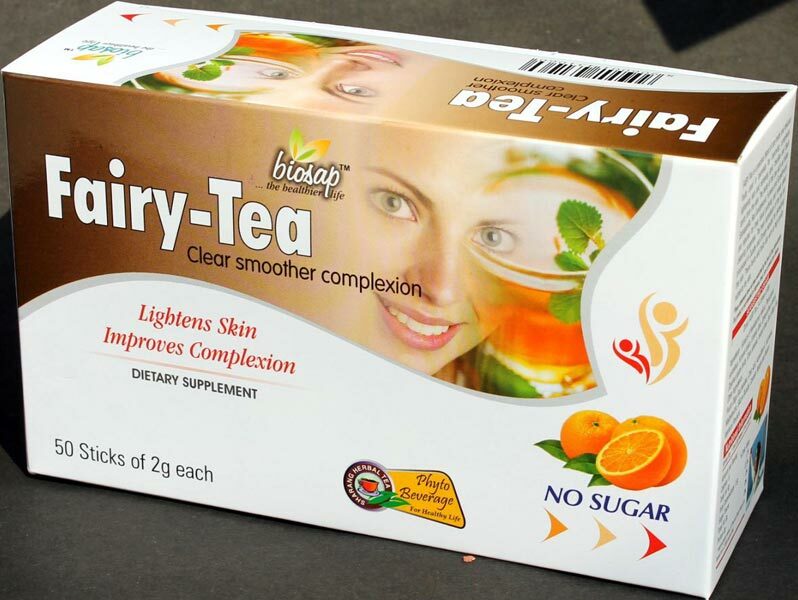 We are a top-notch Manufacturer, Supplier and Exporter of instant skin lightening herbal tea from Rajasthan, India. Our Fairy Tea is a precious blend of rare herbs and delicious fruits used in ayurveda for improving complexion, lightening skin and removing spots, freckles and black spot from the skin The main ingredients of Fairy Tea are processed in the fruits juice concentrates such as Zuzube and Orange reputed for their cooling effect, pacify deranged pitta, and help body detoxify the skin. These herbs and fruits also acts as high quality nutrient for the skin. Method of use : Pour the contents of stick in 150ml boiled water and stir. Drink twice daily. For fast result take Mahamannjisthadi capsule with this tea. Apply Fairy face mask on face and use kumkumadi tailam for enhanced lightening effect. Add boiled water stir and drink.